Time for the first of a few looks at what BBC Worldwide have coming our way in November. Today we look at the various titles set to arrive on the 4th. Kicking these off is a mammoth Blu-ray box set entitled Doctor Who: The Complete Box Set, which you know mere months after you buy it won't actually be complete anymore, so they should really add "for now" on the end of it. Anyway, for a mere recommended retail price of £255.31, no that isn't a typo, this 29-disc set contains all seven series of the new Doctor Who in HD, with series 1-4 being re-mastered versions. 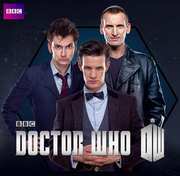 These cover the complete adventures of the ninth Doctor Christopher Eccleston, tenth David Tennant, all full 1080p resolution for the first time ever, joining the eleventh and current (for a tiny bit longer) incarnation Matt Smith. 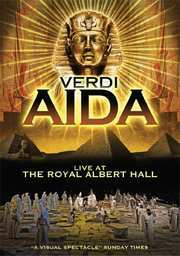 Something less sci-fi and more musical is Aida: Live at the Royal Albert Hall, arriving on DVD with an RRP of £20.42. Producted by Stephen Medcalf, Claire Rutter stars alongisde Joseph Wolverton, Liuba Sokolova and Ashley Holland, with music from The Royal Philharmonic Orchestra conducted by Andrew Greenwood. Verdi’s Aida is one of the most dazzling operas ever written. An epic work, it explores the devastating consequences of a classic love triangle between Aida, the Ethiopian slave girl, the King’s daughter, Amneris, and Captain of the Guard, Radames. This intense drama gave Verdi the perfect opportunity to compose some of his most poignant arias and powerful music which convey tragedy and passion and transform the intricate love story into an emotional journey for the spectator. Comedy next, with the DVD release of Celebrity Juice: Obscene and Unseen carrying a recommended retail price of £20.42. Leigh Francis' alter ego Keith Lemon presents this ITV2 panel show. Celebrity Juice is a tabloid focused quiz show based on the nation's obsession with all things celebrity. Each week the captains Holly Willoughby, Fearne Cotton and Kelly Brook have help from comedians, pop stars, celebrities and showbiz journalists. 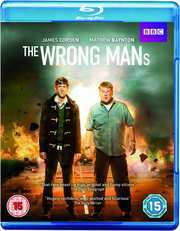 Finally for this day we have comedy The Wrong Mans which can be purchased on both DVD and Blu-ray, priced at £20.42 and £25.52 respectively. This stars James Corden, Mathew Baynton with special guests Dawn French and Emilia Fox. The Wrong Mans centres on Sam and Phil, two lowly office workers who become caught up in a deadly criminal conspiracy after Sam discovers a ringing phone at the scene of a horrific car crash. Answering this phone turns his world upside down, as he and Phil soon realise it is up to them to step up and save the day. They are in the wrong place, at the wrong time, with the wrong skills. They are The Wrong Mans.